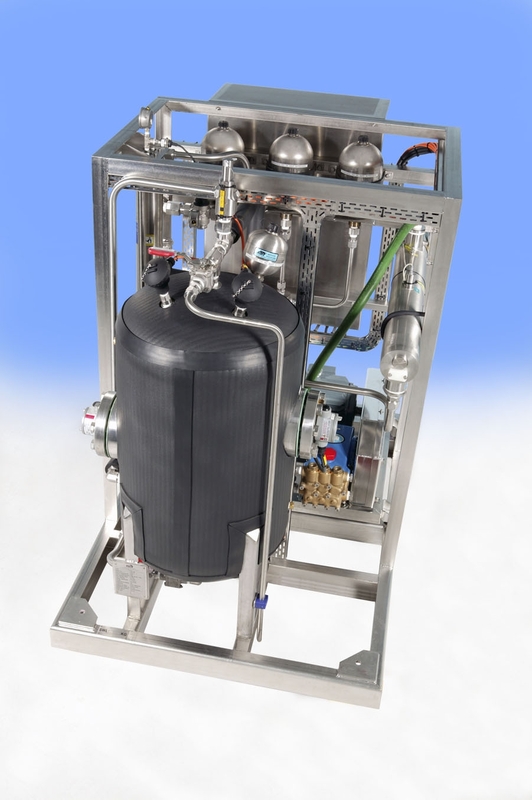 The Divex potable water system for ring main supply is designed to provide hot and cold water for toilets, showers and basins in large saturation diving systems. 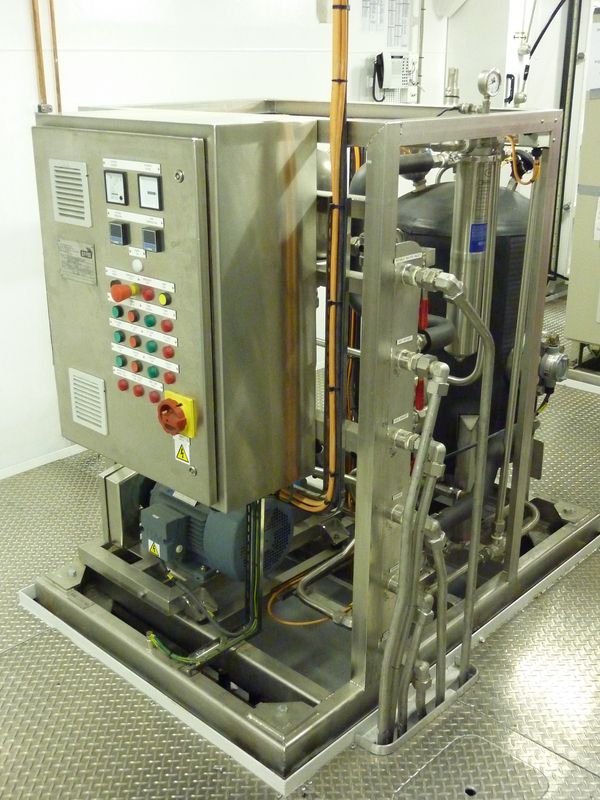 Two potable water machines coupled to hot and cold ring mains work automatically once set-up and started. The system will provide 100% redundancy. 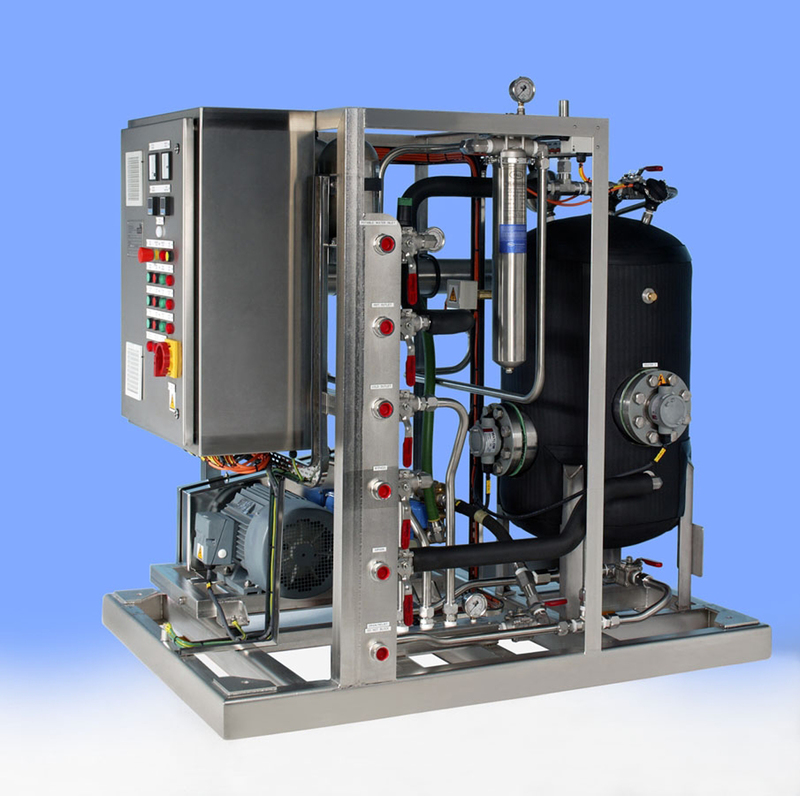 Potable water entering the skid is filtered to 5 μm and UV sterilised before being fed to the pump. 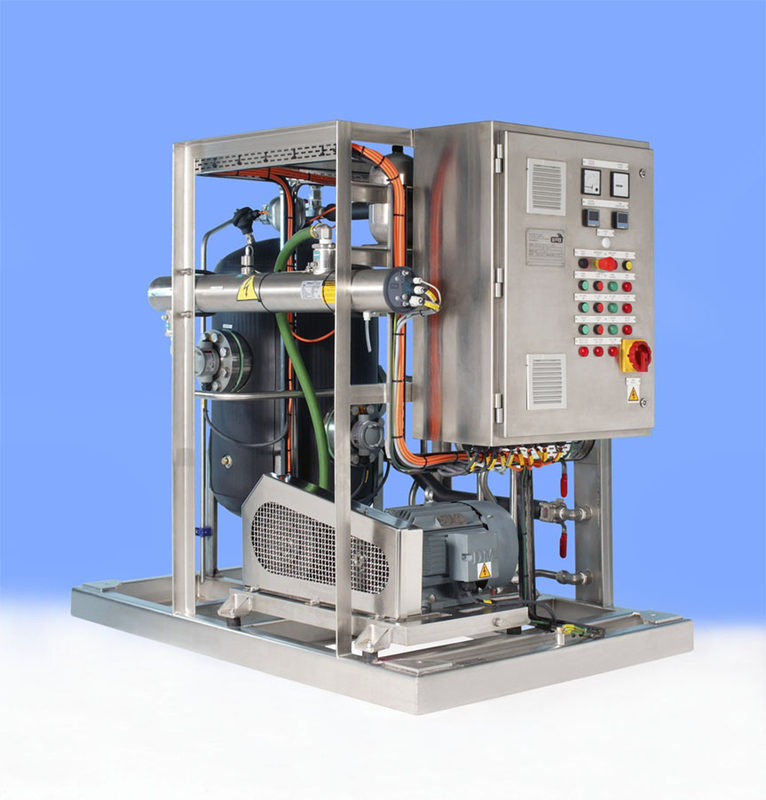 The pump boosts the pressure to 45 bar at a maximum rate of 60 litre/min, the actual pumped flow will depend on demand and will be controlled by the variable speed drive. 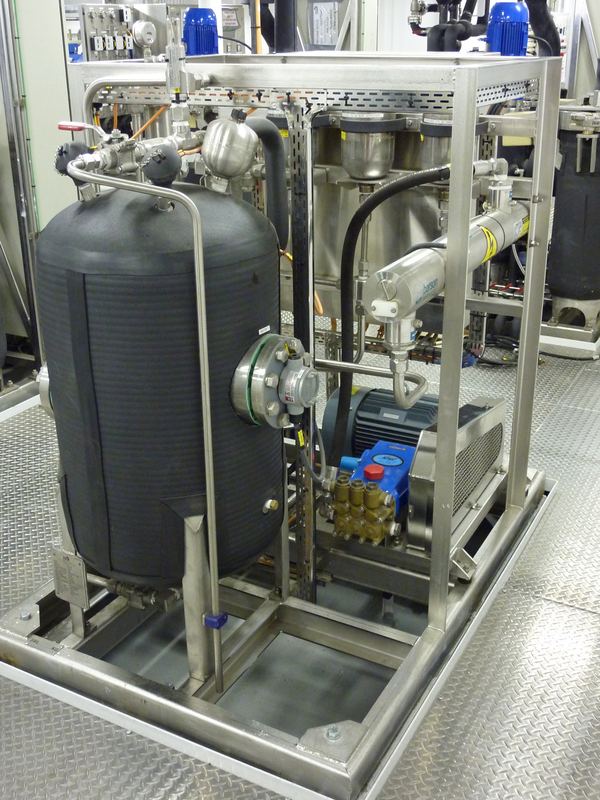 After the pump, the water is split into hot and cold streams as well as to a 12 litre (4 litres x 3) accumulator assembly. The hot water stream is heated and controlled to 55°C in the high-pressure heater tank and then fed in to the hot water ring main. 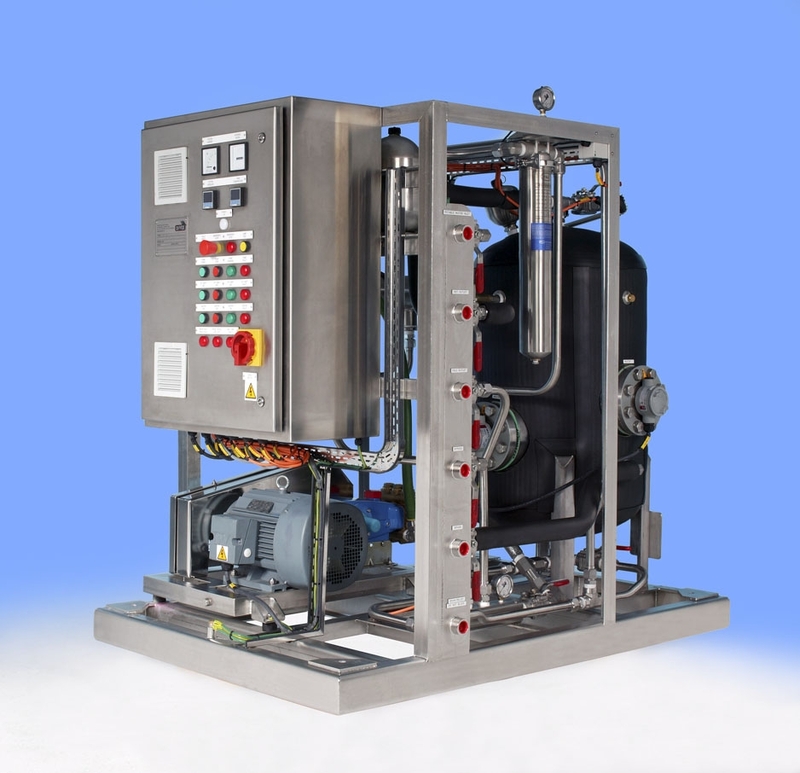 The system is designed in such a way as to create a thermosyphon effect in the hot water ring main, where cooler hot water returns to the skid for reheating which will keep the ring main warm at all times. The cold water is piped directly in to the cold water ring main.